We are community base Himalaya organic farm Nepal, offer sustainable farming volunteer opportunities in our farm and village. Beside that we do provide village volunteering, teach English volunteer opportunity at community school, cultural exchange, farm stay and village stay programs etc. community support activities, cultural exchange activities and voluntary works according to your chosen project. During volunteering period you will get the separate room, safe and clean environment at host family house near farm, school in village. Host family provide you pancake, cookies and tea as a breakfast and Dal Bhat and noodles as a lunch and dinner (three organic Nepali meals a day, tea coffee in between). You have to pay small amount of money to participate in volunteering program that spent to arrange transportation, meals and Kathmandu to airport to Airport guide or assistance service o complete the volunteer program. Suntale - 1, Khotang, Sagarmatha, Nepal, Khotang, Nepal. 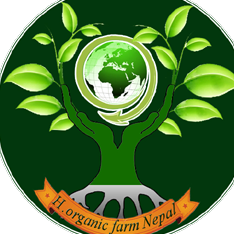 Himalaya Organic farm Nepal is a community base sustainable farm Nepal. Active to improve the economic condition of rural people throw organic farming and agri tourism in Nepal. We at Himalaya Organic Farm Nepal would love to hear from you!